The Asom Gana Parishad (AGP) is split but not fully out because Prafulla Kumar Mahanta, its founder and leader (until recently), stands isolated as the party is back with the Bharatiya Janata Party in Assam after a brief ‘estrangement’ to Mahanta’s surprise and disapproval. He turned to small regional outfits on the political periphery to support him but interestingly, even the All Assam Students’ Union (AASU), of which he was once the spearhead, was indifferent to his appeal. 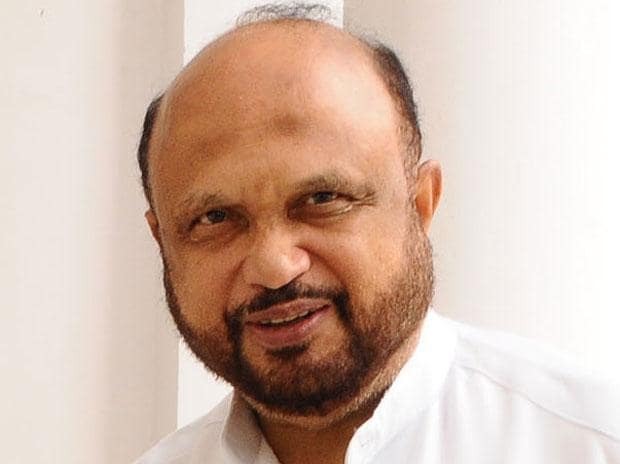 The trigger for Mahanta’s dissent was the AGP’s decision last week to return to the National Democratic Alliance and contest the Lok Sabha polls together after “walking out” of the coalition last January to protest the BJP’s doggedness to pass the contentious Citizenship (Amendment) Bill, 2019, in Parliament. Eventually, the Centre put it aside, after the entire north-east rose up in arms because the proposed law would have legalised the citizenship rights of foreigners of every religious denomination living in these states, barring Muslims. To the AGP--whose progenitor, the AASU, led one of independent India’s long-drawn agitation against ‘illegal infiltrators’ from Bangladesh who were domiciled and given voting rights in Assam--the amendment was an abomination because the AASU never recognised ‘infiltrators’ as Hindus and Muslims. Three AGP ministers in the BJP-led government, Atul Bora, Keshab Mahanta and Phani Bhushan Choudhary, put in their papers in “protest”. However, reliable BJP sources said the “understanding” was the BJP would pound away the bill for a while to disseminate a “larger” political message the country over and put it aside expediently. Until such time, its leaders counselled the AGP to stay out of the government. The resignations were never accepted. The trio quietly returned to their offices. Mahanta’s gripe was he was not informed about the decision to make up with the BJP. “I came to know about it through the media,” he maintained at a press conference in Guwahati. The ‘rapprochement’ could spell the undoing of the AGP and the marginalisation of Mahanta because the AGP is bent on keeping its former president at bay. The BJP made it clear that the partnership was renewed on its terms. Both Amit Shah, the BJP president, and Himanta Biswa Sarma, Shah’s point person in the north-east, announced if re-elected at the Centre, the BJP would revive the Citizenship bill and the AGP would have to support it. To add insult to injury, the regional papers speculated that the Centre could make Mahanta a Governor or offer his wife, Joyasree Goswami Mahanta, a Rajya Sabha berth. He dismissed the rumours out of hand that were based on news leaks that the AGP wanted two of the 14 Lok Sabha seats, one Rajya Sabha seat and a gubernatorial position. At a time, when most regional chieftains strove hard to keep their independent identity, safeguard their political turfs and drive hard bargains with a “mainstream” party before clinching an alliance, the AGP keeled over. Mahanta’s solo act—if indeed he persists with one—is unlikely to take him far. At 66, he isn’t exactly left with the energy levels that spurred his emergence as a feisty student leader in 1979 who pursued voters’ lists to identify the ‘illegal immigrants’ and birthed the Assam agitation that year. The agitation petered out when Mahanta and the AASU signed an accord with the former Prime Minister Rajiv Gandhi on August 15, 1985. The AGP was formed three months later and swept the elections held in December 1985. Mahanta traversed the nearly eight km distance from the students’ hostel of Guwahati University in Jalukbari to the chief minister’s bungalow at Dispur, Assam’s administrative capital. At 33, he became India’s youngest CM. Mahanta was bedevilled with problems, arising from Assam’s complex ethnic make-up, scams and ego clashes with his ministerial colleagues who were AASU comrades and thought themselves as his equal. The Muslims, who constitute a huge population at 33 percent, felt neglected, while the tribals, notably the Bodos, resented the ‘rule’ by the Assamese. Mahanta’s next inning, after the Congress’s return and defeat, was turbulent because he sought to rein in the United Liberation Front of Assam (ULFA) that he gave a free hand in his first tenure. After an interlude spent in virtual oblivion, he was back as the AGP president in 2005 but was forced to team up with the BJP to keep his party afloat. Compromise or intransigence? Right now, Mahanta stands at the crossroad.